﻿ Radisson Blu Cebu (Philippines) | FROM $114 - SAVE ON AGODA! "This hands down, is the BEST hotel in Cebu." "The staff are wonderful, attentive at all times and they go the extra mile to." 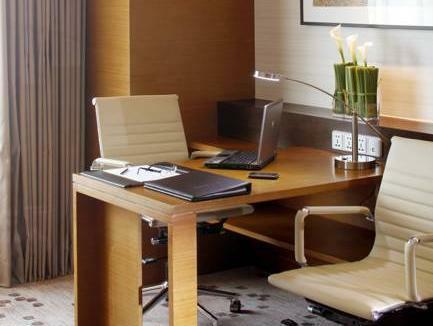 "Radisson blu is a good hotel." "The restaurant was so great ." Located on Serging Osmeña Boulevard at the corner of Juan Luna Avenue, this Cebu hotel places guests in the middle of the oldest city in the Philippines. Just 500 meters from the International Port area, this South Pacific getaway proves to be the perfect starting point for exploring the island of Cebu and its 167 neighboring islands. 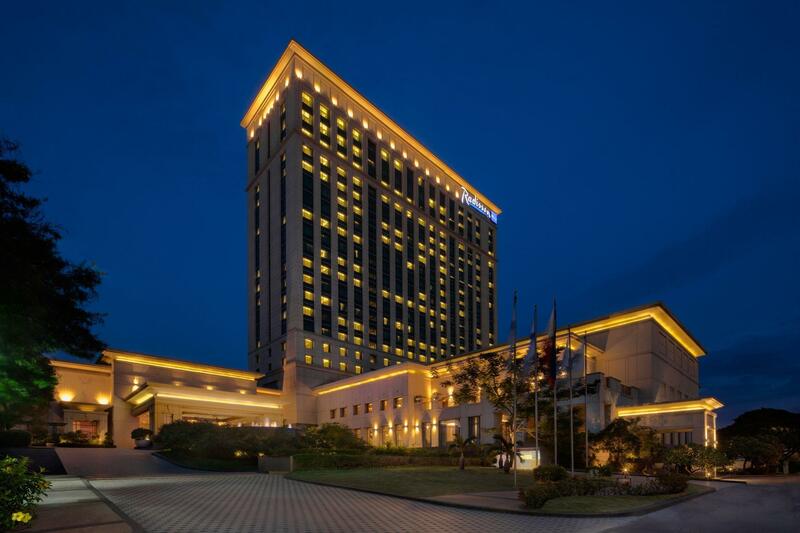 Radisson Blu Cebu is situated just 11 kilometers from the Mactan International Airport. 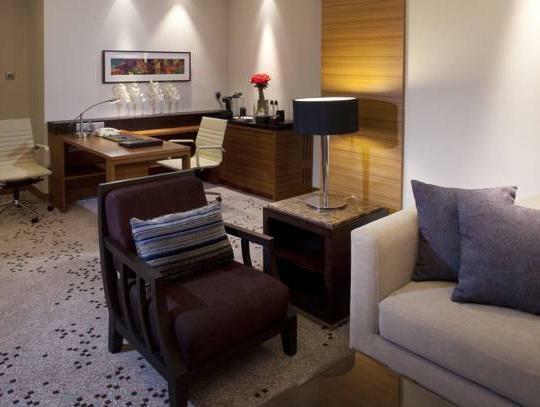 This property boasts 400 well-appointed guestrooms which come furnished with modern amenities. Each accommodation unit features a LCD TV, high speed internet access, telephone, and a private bathroom with hot and cold shower. The on-site restaurant offers Asian, Japanese, Mediterranean, seafood, and international cuisines. A swimming pool is also available on-site for guests to unwind after a long day of sightseeing in the city. 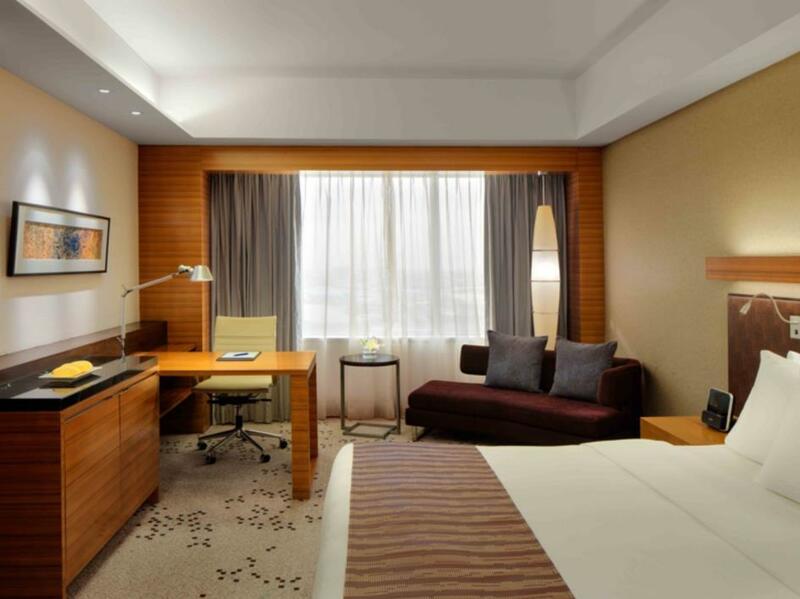 Radisson Blu Cebu is a relaxing retreat center of the Philippines. Nice and comfortable for the shopping and business we needed to do. SM mall and the Jeep central terminal is right next door. 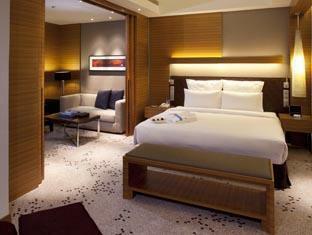 Plus the Radisson high class comfort. Great hotel, has big rooms and facilities specially gym and pool. The hotel is beside SM mall so you can buy many things there and other Ayala mall is only 10-15 minutes away. But it need to renew the rooms since I found cockroach’s at toilet which looks not at 5 star hotel. I guess they need to do something regarding this. I stayed here since my children wanted to be close to a mall. Other than that, for its price its not worth it. Rooms are dated and not so clean. Breakfast is goo though, but pricey. Best is the pool here, children loves it. Most staffs are friendly, some front desk staffs are not pleasant, need to remind them to smile and acknowledge guests a bit. 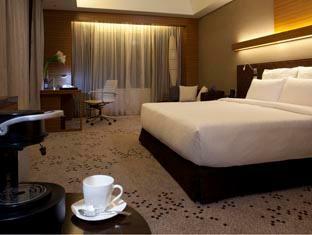 ;( Stay in Maayo hotel in Mandaue, great value hotel for me. Ms. Jonna and Ms. Girlie (?) i hope I remembered her name correctly helped us get the room we wanted. They were so pleasant and helpful. Made our short stay super wonderful! Mainly a business hotel but also good for a few nights when visiting Cebu city. The location is okay, breakfast really huge and delicious. 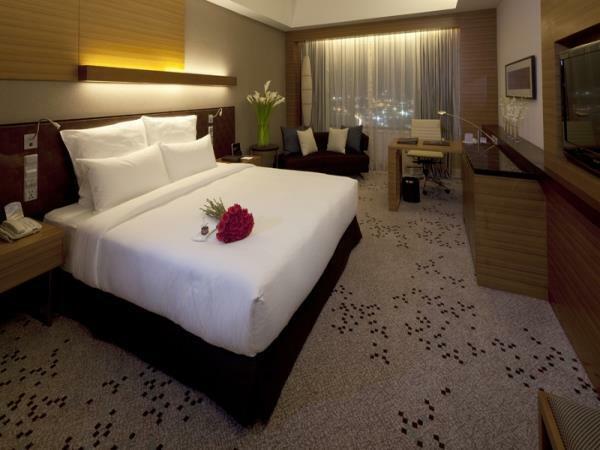 Only bad point, bedroom are really orientated business, not very glamourous. Breakfast is very good. The hotel is next to SM city, a big shopping mall at Cebu. Many choice of restaurant there. Allow yourself more time to the airport because traffic to cross the bridge to Lapu-Lapu City may very busy! This hands down, is the BEST hotel in Cebu. The staff is excellent, the facility is excellent, the food is excellent, the rooms are excellent. Visiting for conference in town. General Manager is highly visible and goes out of way to introduce himself (Stephan Sieberg, with his distinctive German accent, gave us his card, a true professional). The front desk office staff (Janna) was extremely professional and attentive (should be in management). Wylliam [sic] the bell boy was super nice, helpful, and fast. Even Chona (breakfast staff trainee employee) was excellent and professional in attending to our table. The security staff at the front of the hotel with the drug sniffer dog who was super friendly were very professional. This hotel is located adjacent to SM Mall and short taxi ride away from anything you would want to go to in Cebu City. Having stayed at many Radisson's in the USA, this one, by far, is one of the best. Only request to make is more rubbish bins in common areas. I arrived late morning (for a photoshoot later that day) and I checked in. I was departing on an int’l flight some hours later and I was going to be out by 3am I told the staff when I checked in. I never had to ask for special breakfast accommodation. It was just offered. They could pack me a breakfast good for 2 since my room included that, even though I’m alone. I asked them could they make certain there’s no sausage or meat of any kind since I’m a vegetarian. No problem at all. Breakfast was packed and ready for me before 3am when I checked out. P2500 room deposit was handed back to me, and I was off to the airport. The gal even apologized for being quiet and hard to hear bec she lost her voice. I hope your health was restored, miss and you can continue being so welcoming to subsequent guests (and me when I return next March). Flawless. Couldn’t recommend a better place in this metropolis. 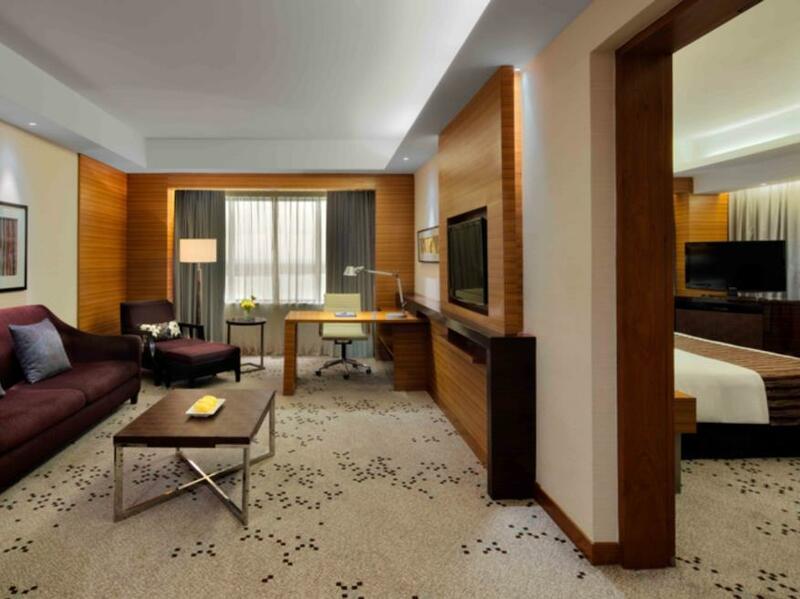 Have been staying at the Radisson Blu for many years now, but have noticed some things have slipped in quality and the mosquitos that are abundant in the lobby area is astonishing!!! Also annoying things are being repedetly asked for like the the voucher to be emailed on arrival,, WHY MAY I ASK? They already had my details of my booking on arrival, and staff coming along while eating breakfast to sign the charge slip either do it as we arrive or as we are leaving not while we are trying to eat and then have to pause put our food down wipe your hands and the sign the docket. Bacon is terrible chewy and smelly, the cheese and ham on pizza is fake. (Cheese is not mozzarella and ham is not ham it’s some sort of spam or Devon type meat) prices are in line with 5 star hotel but food is sometimes lacking in quality. Staff are good as always. Just some feedback to management if they take the time to read. 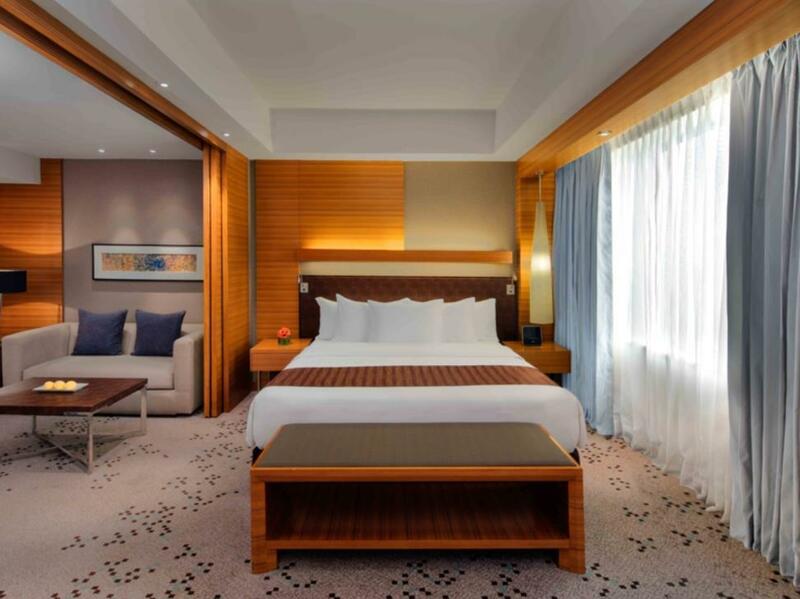 I would recommend Radisson Blu to my friends who have plenty of money and don't mind spending over the odds to stay in a top rated hotel. You'll pay P10,000+ per night. I would also recommend it to the business traveler whose company is paying - not them - and the company doesn't mind the cost. The staff are wonderful, attentive at all times and they go the extra mile to. ensure that you have all you need. The food is what you would expect from a 5-star hotel, great selection and well prepared and presented However, for people who are of modest means and for overseas tourists, who don't insist on 5 star hotels, then the response is NO. 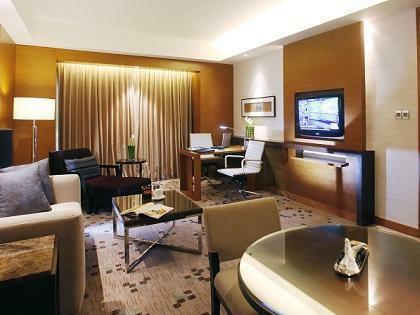 There are far better value-for-money hotels of a high standard in Cebu. You will pay between 3500 and 5000 for hotels and still enjoy your stay. Taxis are cheap and available so staying next door to the Mall is not necessary. Take a look at the options on the web and make a sensible choice for your budget. The hotel itself is great, as are the staff., especially April at the front desk. Only complaint I would have is the dinner buffet, all pork and seafood on a Wednesday . Besides being around P1700,00, it was pretty bland and definitely not worth the money. I ended up have 2 pieces of pizza and a little rice, expensive meal and certainly not worth it. Would recommend the hotel itself. Service was excellent. Staff very friendly and helpful. Breakfast buffet was huge and anything you could want. We would be back if we every make it to Cebu City again. Spent the New Year here with an overnight stay too bad the Christmas Tree was putaway so soon. A very satisfied customer. Would stay here again! Amazing breakfast and dinner buffet! The place was great especially the pool. Breakfast buffet was great and delicious. The room is big and clean, except there was a stinky smell in the bed and the toilet flush button is broken. The location is great, just so close to everything.